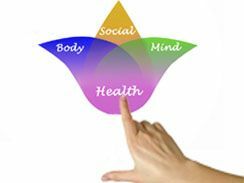 This presentation provides an overview of the science-based biopsychosocial approach to conceptualizing behavioral health care. The complicated history of the field has featured a wide variety of theoretical orientations, whereas recent scientific progress has resulted in a very different approach to understanding human psychology. There is now overwhelming support for a unified biopsychosocial approach to understanding human development, functioning, and behavior change. This presentation will review these issues, outline how behavioral health care treatment is informed by the biopsychosocial approach, and show why this approach is essential for working in emerging areas such as integrated primary care. Timothy Melchert, Ph.D., graduated in 1992 from the University of Wisconsin–Madison with a doctorate in counseling psychology. He taught at Texas Tech University before moving to Marquette University in 1998. He served for many years at Marquette as training codirector, department chair, and assistant vice provost for graduate programs, and he also served on the State of Wisconsin Psychology Examining Board. He is a member of multiple journal editorial boards. His most recent book, Biopsychosocial Practice: A Science-Based Framework for Behavioral Health Care, was just published by the American Psychological Association.